Considering Making a Claim for Laser Injury Compensation? In the last decade, laser eye surgery has become increasingly popular, with many people wishing to remove the necessity for glasses. While the vast majority of laser eye surgery procedures are conducted by highly qualified medical professionals, there are approximately 5% of cases which lead to problems after surgery. Mistakes still do happen and providing you can prove the fault of the accident was not your own, you could have a successful personal injury claim. If you have experienced problems following laser eye surgery and there a third party was to blame, you could have valid laser eye surgery compensation claims. The medical negligence solicitors at First Personal Injury have helped individuals with laser eye surgery claims for many years. 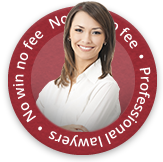 Get in touch with our experts on 0800 808 9740 to find out if you are entitled to compensation on a no win, no fee basis. Laser eye surgery is usually chosen by people who are short-sighted (myopia) or long sighted (hypermetropia) and those who have astigmatisms. During the procedure, the eyeball is reshaped using a laser and patients are usually allowed home after the surgery is complete. The various options available will be discussed with you by your eye surgeon before you have the procedure and he/she will suggest which one is best for you. Common types of laser eye surgery include LASIK (laser in situ keratomileusis), PRK (photorefractive keratectomy) LASEK (laser epithelial keratomileusis) and Wavefront-guided LASIK. 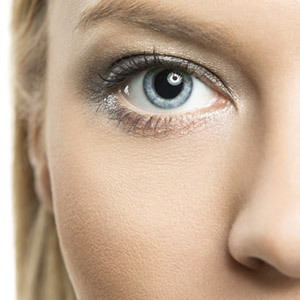 LASIK has been used for around 20 years and can correct most common eye problems. On the other hand, PRK and LASEK are generally used for low prescription procedures, but LASEK uses a slightly different method of surgery to correct vision. Lastly, wavefront-guided LASIK is a type of laser treatment which uses the curvature of the cornea and applies the laser to its outer area. As the laser eye surgery industry has grown, prices have become more competitive and availability of the service has soared in the UK, with demand continuing to rise. The RCO (Royal College of Ophthalmologists) recommends that anyone carrying out his procedure should be a fully-trained ophthalmologist and have specialised training and the strict regulations in place should be observed. If you are undergoing any kind of surgery, you should always be clearly informed of the potential risks; this is known as ‘informed consent’. What Can Go Wrong With My Laser Eye Surgery? Partial or complete loss of sight can happen in rare cases, often when there has been too much thinning of the eyewall. In some cases, corneal surgery is required. Laser eye surgery claims are classed as medical claims or clinical negligence claims and can often be complex. Because of this, it is advisable to have a qualified personal injury lawyer to help you with the details of your case and to ensure you receive the maximum amount of compensation you are entitled to. Your injury may have resulted in you suffering a loss of earnings by having time off work. Alternatively, it could have led to your existing condition worsening, causing pain and suffering and you may also have had to pay for medical expenses in relation to your injuries. If you have suffered as a result and third-party blame can be established, it is likely your claim will be valid. Like with all other medical negligence claims, strict time limits apply to laser eye surgery claims, so it is advisable to begin the claims process as soon as you can. If you would like to gain more information and advice about how to make laser eye surgery compensation claims on a no win, no fee basis then please get in touch with our medical claims lawyers at First Personal Injury. We can help you claim the maximum amount of compensation you are entitled to. Call us on our national accident helpline on 0800 808 9740 or complete our online claim form.